Decoding messages and finding the clues to lead you to the resting place for the final reward is the task ahead in our Treasure Island team building activity. Exploring the seas and oceans, finding the locations and the pieces of a secret map that leads to the hidden treasure is the task ahead for our islands treasure seekers whilst perfecting their navigational skills and practicing seamanship along the route from island to island to receiving their ultimate reward. Find the islands, the locations and the answers and complete the challenges to collect what is duly yours! 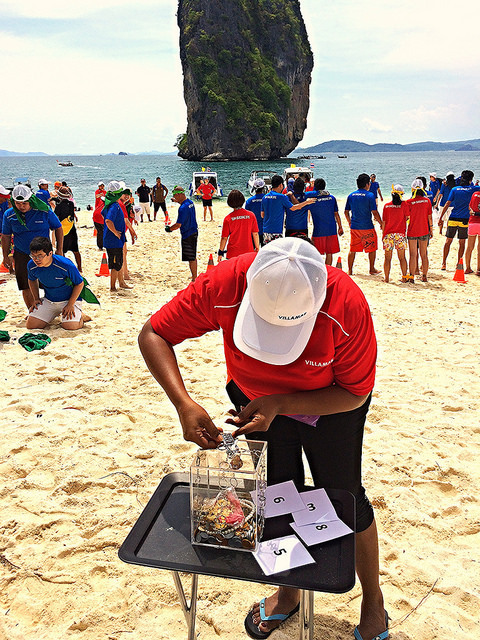 Various physical and mental contests await the teams, amid the beauty and serenity of this tropical paradise. 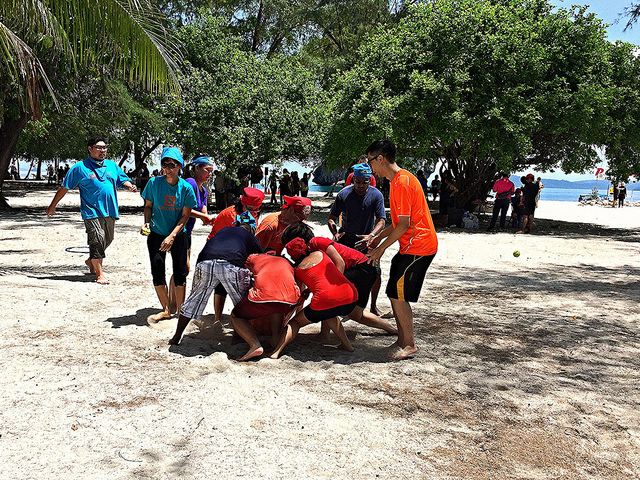 Teams are challenged with a series of games to test their cooperation, planning and leadership skills. These games will also be important for collecting parts of the treasure and the next part of the treasure map. 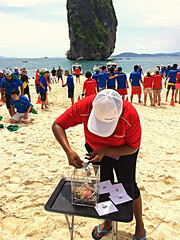 Games take place on the beaches, in the sea and around the islands, and although safety is of paramount importance, they test physical and mental endurance and prowess. 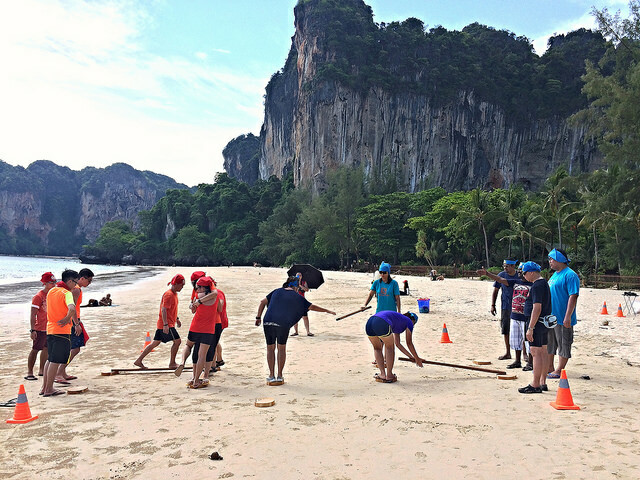 Games include team puzzles such as the minefield, cooperation and negotiation games, team relays and ropes challenges, for example the island web pathway, races and obstacles courses, blindfold events, diving and swimming games and other active team competitions and conundrums. 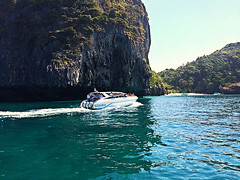 A range of islands are suitable around Thailand. 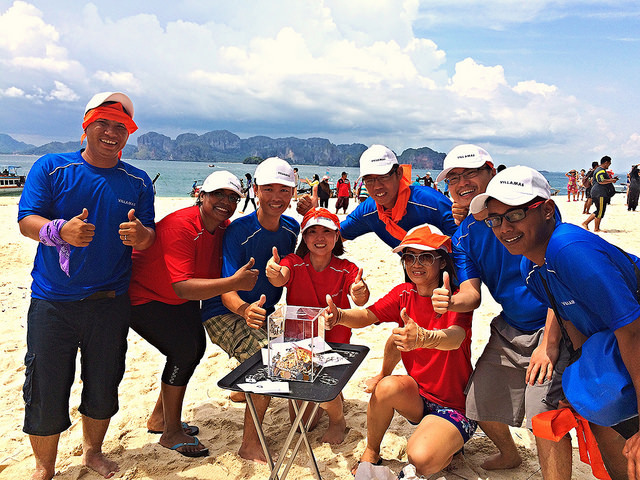 Depending on budget, location and the duration of the event we can recommend the best islands to visit. Around Koh Samui Koh Matsun and Koh Tan are favourites and ideally placed around 30 minutes boat ride away. 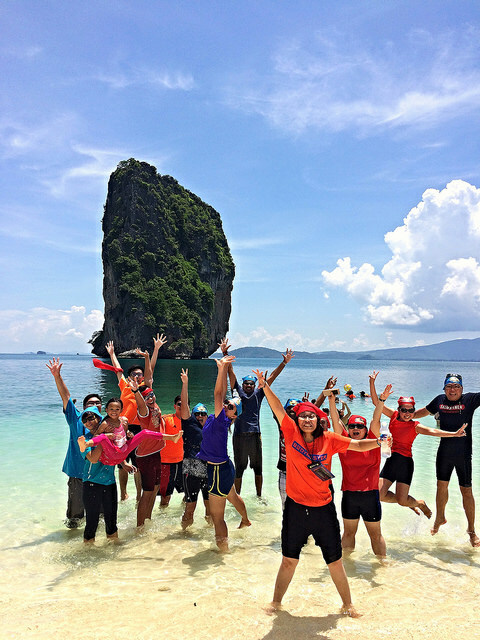 Koh Matlang and Koh Som are closer, and Koh Angthong is the most remote being about one and a half hours away by speedboat. Around Phuket, Coral Island and Koh Rang Yai are favourites, Koh Yao Noi and Koh Yao Yai are closer, and the islands around Koh Phi Phi are more remote. From Krabi, Poda island and Miracle Bay are favorites as well as Pranang Cave Beach and Railay Beach, Phi Phi island is more accessible from here as well. After each game the winning team will get one point and receive a container with a piece of information or item to their advantage in the next game. This could be a piece of a treasure map or a puzzle, some advice or an extra turn. 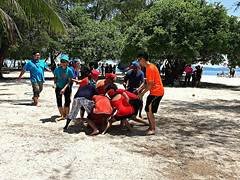 After the last game the team leader of the winning team receive the team idol and all members receive a prize. 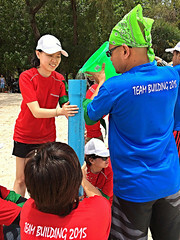 Pre-briefing with skills training and tips, and debriefing and analysis lead by instructors can form a part of the process, both to enhance the learning outcomes and experiences of the delegates, and to ensure that the team works together is empowered to overcome the challenges it faces. Starting with a four hour half day option, this challenge can be expanded to a twenty four hour event including one night away. The standard is a full day 6-8 hours event which normally also includes lunch. 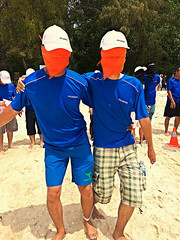 For those seeking a greater survivor challenge, an event of two days and two nights gives plenty of time to experience leaving civilisation behind, or for the ultimate adventure, several days marooned on your own private island!